Cape Primrose (Streptocarpus) is an indoor plant that most people keep during the cold winter months. While they can grow year round, they are most popular as a winter flower. I guess it brings a little bit of spring to the dampness of winter. This plant is very easy to grow. Once you plant the seeds in a pot you like, be sure to water it regularly. It is best to let the soil dry up a little bit and then water the plant. Don’t let it get too dry. You just don’t want to drown it. 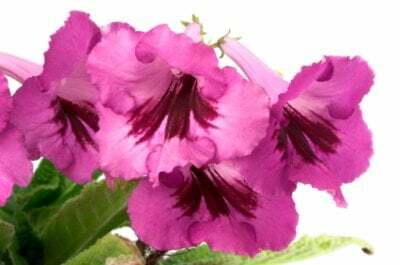 Streptocarpus Plants grow well in the winter time because it likes to grow in cooler temperatures. Not so cool that you try to grow it outdoors, a cool spot in your home will do just fine. In order to really thrive, the plant needs to be round sunlight for at least 12 hours a day. Just don’t place it in direct sunlight because you don’t want to fry it. When you are picking a pot to grow your Streptocarpus in, pick a pot with holes in the bottom and place it on a dish. You want to make sure the plant has good drainage but also maintains moisture. Now, let’s talk about how pretty this plant looks. Being a relative of the African Violet this plant also has tubular shaped flowers. They grow to be a delicate looking as the flowers on the violet. They come in more of a variety of colors then the African Violet. You can grow the Primrose in white, blue, violet, pink or red. These flowers grow on a tall thin stem. Usually about 10 inches long. The leaves that grow along with the flowers are wide and light green. The leaves are bigger than the flower head. Just wait and see how large this indoor plant can be! From what starts out as a tiny seedling really grows into a nice sized house plant.